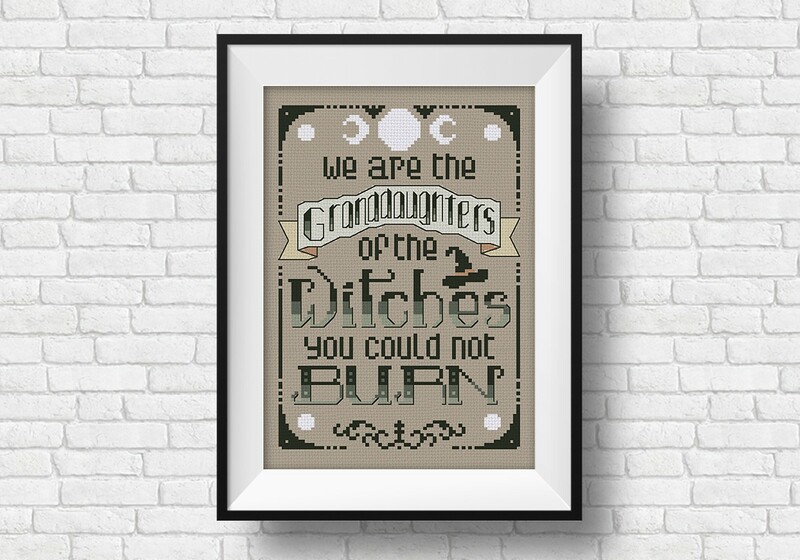 "We are the granddaughters of the witches you could not burn" quote. Witchy stitchers, you can not miss this pattern! 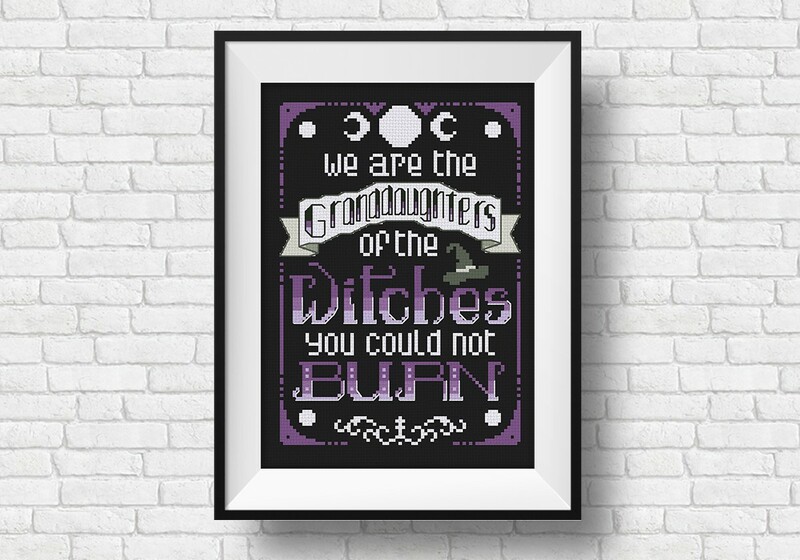 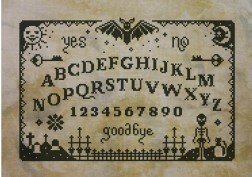 A gothic beautiful witchy stitch with a subversive feminist message! 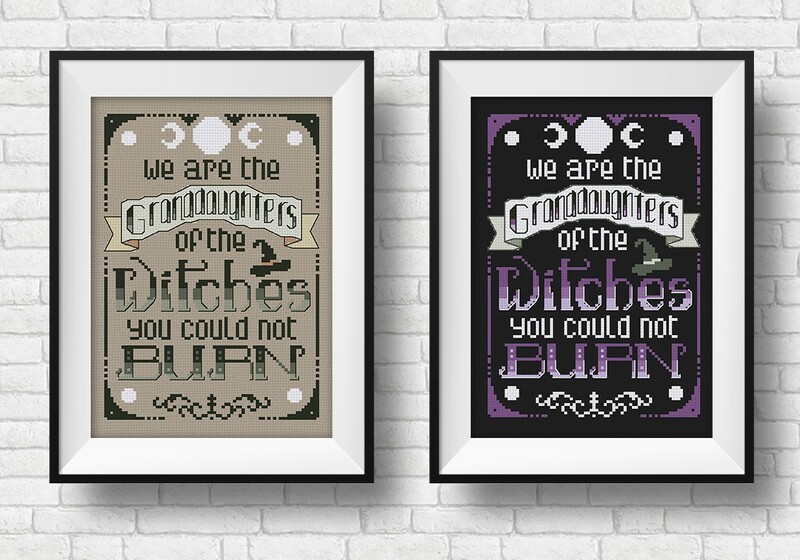 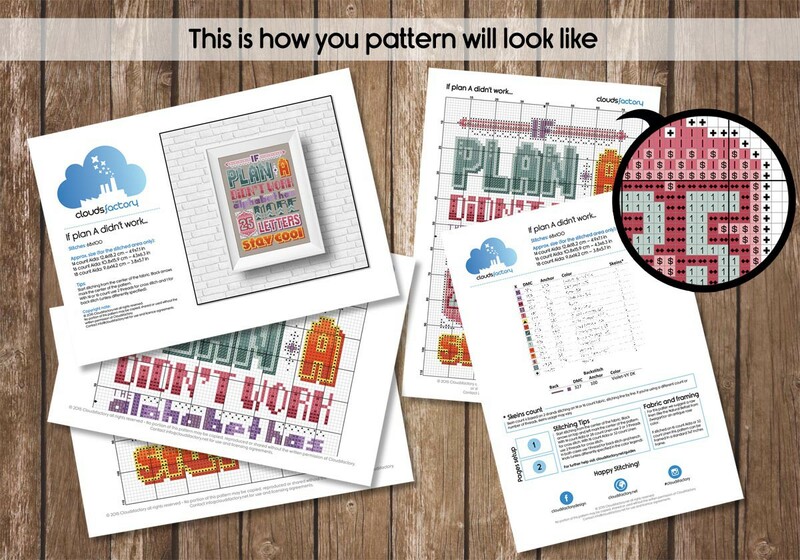 The pattern is designed to perfectly fit a 15x20 cm (6x8 in) frame if stitched on 16 count, and includes both the versions, light and dark one, the choice is up to you!